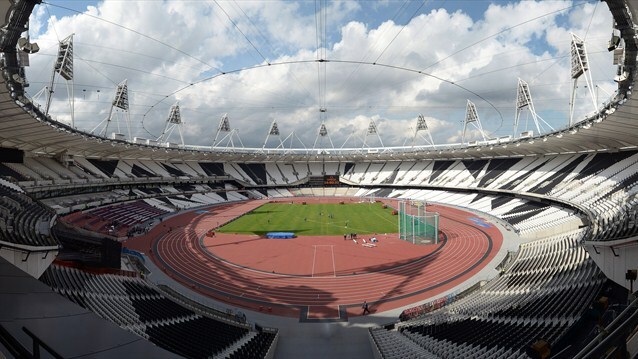 London Olympics 2012: The Greenest Olympic Games in History | TonerGreen - Eco-Friendly Toners from the U.S. The Olympic Games is a major international event featuring different sports in which thousands of professional athletes participate in a variety of competition. It is considered to be the world's foremost sport competition in which more than 200 countries participate. Held biennially, with Summer Games and Winter Games alternating, the said event only occur every four years within their respective seasonal games. This year, Olympics 2012 will be held at London, England and will start this coming July 27. With less than a week, hundreds of workers and organizers are putting the final finishing touches on the massive project which is this event. But what makes the London Olympics 2012 more interesting is that how the organizers and planners have incorporated the "go green" mark to their three main stadia, the Olympic Stadium, the Velodrome and the Aquatics Centre. The main arena is the lightest Olympic Stadium ever built in the history of Olympics, the roof has been fabricated from a PVC fabric, helping with the weight issue while keeping costs low. Designed by Populous, the building took four years to be built. A unique 80,000 seat stadium, what makes this structure more unique is that the structure supporting the roof made out of 2,500 tons of steel tubing actually came from old recycle lines. 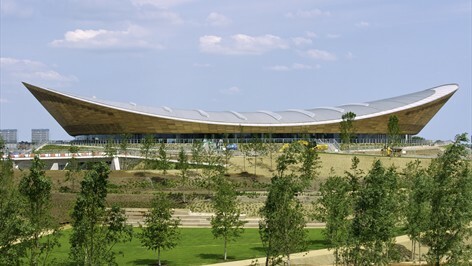 Located in the north of the Olympic Park, the Velodrome is one of the most sustainable and iconic venues of the Olympic London 2012 Games. Its roof weighs half of any other velodrome in the world. Sustainable choices can be seen in every structure of the building from the sourcing of wood certified by Forest Stewardship Council used on the track and external cladding, 17 km of recycled steel cables used equivalent to twice the height of Mount Everest to the installation of a 100% naturally ventilated system that eliminates the need for air conditioning. The Aquatic Centre is an indoor facility with two 50 meter swimming pools and a 25 meter diving pool. 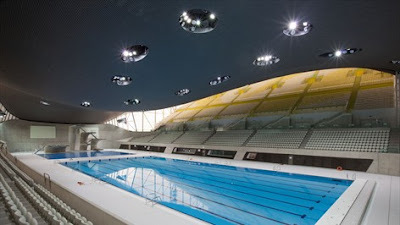 Designed by internationally acclaimed architect Zaha Hadid, the breathtaking Aquatics Centre is one of the permanent venues specially constructed for the London Olympics 2012. Over 160,000 tons of soil was removed to make way for the three pools but was reused in the landscaping of the park. TonerGreen.com, an environment-conscious online printer supplies store, support London Olympics 2012 and its great green concept for the annual sport event. We, at TonerGreen, believe there are so many things we can do to help protect the Earth from further damage and preserve it for future generations, and we can start by helping the environment by doing something simple as changing our printing habits.